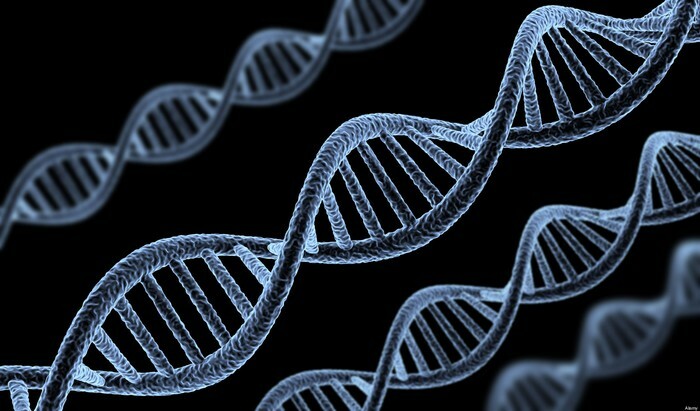 Molecular or gene cloning is the process of creating genetically identical DNA molecules. It is the most essential biotechnology research tool and it has been the primary driving force of the biotechnology revolution. Molecular cloning made the following research discoveries possible: identifying, localizing and characterizing genes; creating genetic maps and sequencing entire genomes; associating genes with traits and determining the molecular basis of the trait. The process of this research involves inserting a new piece of DNA into a cell. Because of this, molecular cloning is a type of recombinant DNA technology - which means two DNA strands that are artificially constructed are combined. Since the new DNA is part of a recombinant molecule, when the cell replicates every time, the cell divides and creates an identical version of itself - this is cloning. What is recombiant DNA technology helpful for? - helps scientists discover drugs and therapies. Animal cloning has been rapidly improving livestock herds for more than two decades and has been an important tool for scientific research since the 1950s. 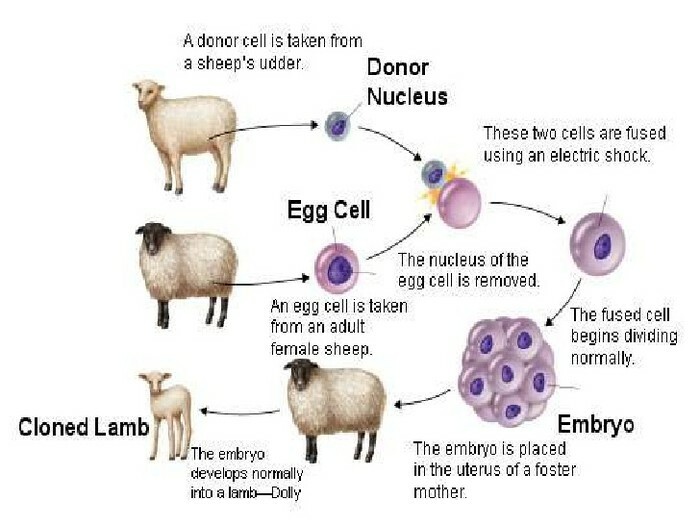 In 1997, scientists cloned a sheep. It was a worldwide media event and was considered a scientific breakthrough because it was cloned from an adult cell and not an embryonic cell (similar to that of a cell from a forming baby). There are two ways to make an exact genetic copy of an organism, embryo splitting and somatic cell nuclear transfer. -It is considered the old-fashioned way. It mimics the natural process of creating identical twins by splitting the embryo. However, instead of occurring in the womb, it is done in a petri dish. -The process starts with the isolation of a somatic cell, which is any cell besides those used for reproduction. Every somatic cell has two complete sets of chromosomes. Scientists transfer the nucleus from a somatic cell into a female egg cell from which the nucleus has been removed. After some chemical manipulation, the egg cell with the new nucleus acts like a freshly fertile zygote. It develops into an embryo after being implanted into a surrogate mother and there you have it, a clone. Why is animal cloning important? -helping zoo researchers save endangered species.